(CBS/AP) LOS ANGELES - A former Charles Manson follower who was imprisoned for a double murder engineered by Manson won a recommendation of parole Thursday after 40 years in prison. Bruce Davis appeared before a parole board panel for the 27th time since his conviction with Manson and another man in the killings of musician Gary Hinman and stuntman Donald Shea. He was not involved in the infamous Sharon Tate murders in 1969. Davis received an answer to his plea for freedom on the eve of his 70th birthday. He was 30 years old when he was sentenced to life in prison in the 1972 case that was a postscript to Manson's notorious reign as leader of the murderous communal cult known as the Manson family. "While your behavior was atrocious, your crimes did occur 43 years ago," parole board member Jeff Ferguson told Davis. Although he initially claimed to be a bystander in the killings of the two men, in recent years Davis has acknowledged his shared responsibility and said Thursday that he has "made remarkable progress in coming to terms with what I did." "I want to try to make up for some of the pain and destruction I've caused," Davis said. The hearing was held at the California Men's Colony at San Luis Obispo, where Davis is imprisoned. The recommendation is not the last hurdle in Davis' quest for freedom. The parole grant is subject to a 120-day review period by the entire parole board. If it is upheld, Gov. Jerry Brown then has 30 days to review the decision. Davis' release was opposed by Los Angeles County Deputy District Attorney Patrick Sequeira, former Manson family member Barbara Hoyt, and Sharon Tate's sister, Debra Tate, who attended the hearing. "We certainly disagree with the board's decision. We will evaluate how we plan to proceed as the matter goes to Gov. Brown," district attorney's spokeswoman Sandi Gibbons said. Gibbons noted that District Attorney Steve Cooley helped persuade then-Gov. Arnold Schwarzenegger to stop Davis' release on his prior parole date in 2010. Schwarzenegger reversed the decision for Davis' release, citing the heinous nature of the crimes and saying Davis was still a danger. "I'm pleased and relieved and I hope Bruce's ordeal will be over," said attorney Michael Beckman, who has been fighting for years for the release of Davis. Beckman said an emotional Davis spoke to the panel at length and took responsibility for his role in the killings. Davis also said he tried to do good for other inmates and would continue ministering to troubled souls on the outside. If eventually freed, Davis will go to transitional housing associated with a religious group in Los Angeles County. He became a born-again Christian in prison and has ministered to other inmates, married a woman he met through the prison ministry, and fathered a now-grown daughter. The couple recently divorced. Beckman said Davis also earned a master's degree and a doctorate in philosophy of religion. 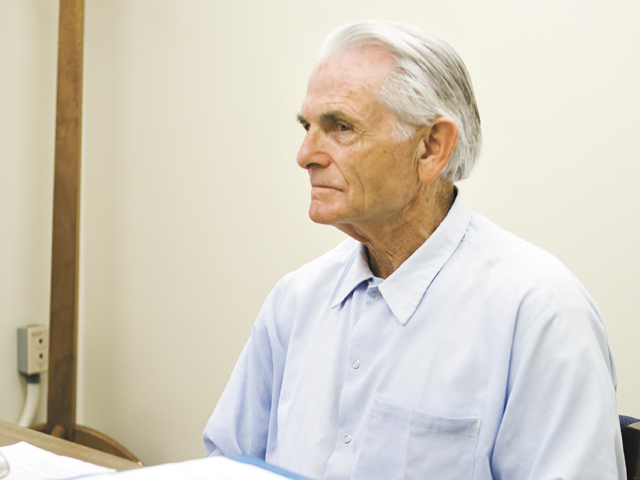 Beckman added that his client is totally rehabilitated and meets state requirements for parole.